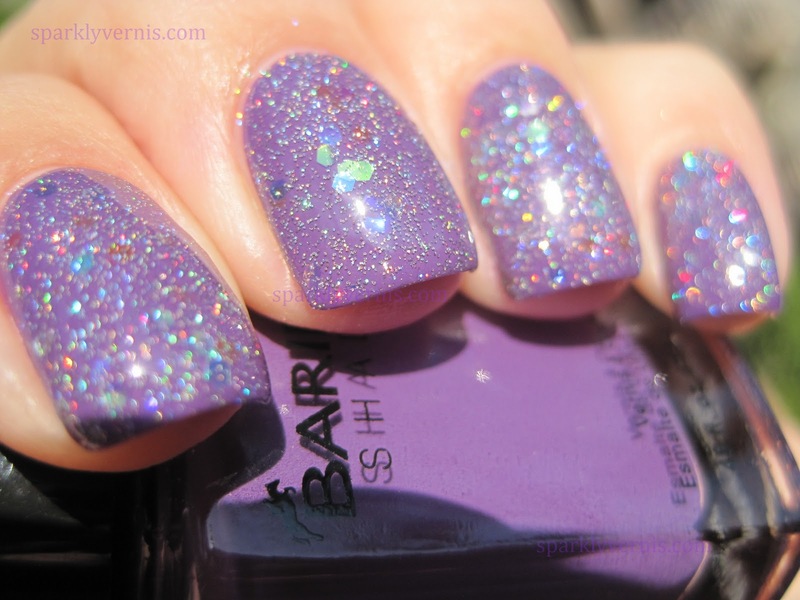 The color of this nail polish is definitely up my alley. I love purples. The application was perfect, no complains. As I mentioned in an earlier post, the Barielle brush is ideal for applying cremes. Drying time was good too. I love the name, I mainly chose it based on the name, but I was pleasently surprised with the shade, and it's a two-coater too. Edit: I rarely go back to update reviews, but this one deserves it. After using it for a while, I noticed that this can definitely be a one-coater, depending on how you apply it. It has great coverage, both in color saturation and for covering imperfections, such as ridges. The color is perfection, it is bright, but not too "in your face", I think it glows. This is definitely a keeper and I'm contemplating a back up. Edited on January 2013. 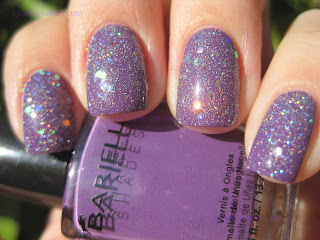 BONUS PICTURES - Barielle Grape Escape with China Glaze Shooting Stars! Love the Barielle but oh my goodness that ChG is beautiful! Now I need a bottle! I love purples too, and Shooting Star looks amazing over it! I really love that shade of purple! It's gorgeous:] and I LOVE Shooting Stars! 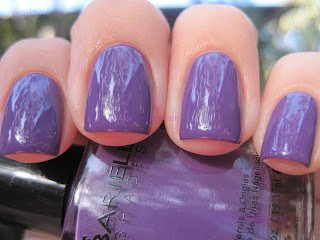 What a lovely creamy purple! Those sparkles set it off wonderfully.